I know we’re still in summer and there’s still quite a while left of it but guys seriously I am dying for autumn over here! I live for the fall. Oh the vibrant colours. Oh the crisp air. Oh the cozy, cozy sweaters. I miss autumn. I wish I could live somewhere where it was autumn all year long. So since Nate is asleep and I’ve gotten my fill of Pinterest-ing for tonight, I decided I would work on my fall bucket list. The idea of being able to share my favourite season with my little Nate this year is also making my anticipation for fall grow. There’s a few things I do every time fall rolls around so I wanted to share my fall bucket list with you my readers! Celebrate Nate’s FIRST birthday on October 26th! Gahhhh! I cannot wait to start crossing these off! 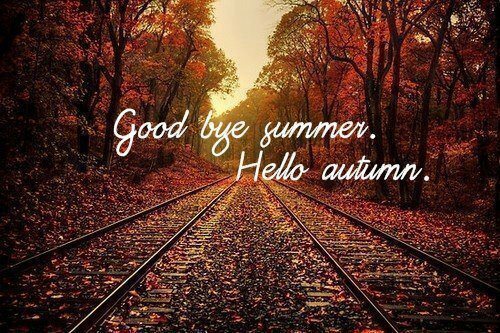 Every August I start anticipating the arrival of fall and this year, I think I’ve been waiting for it since July! I just wish it would last longer than it does! If you or your family have some great fall traditions, I’d really love to hear about them! Previous Post A Little Get To Know Me!